George Dewitt Mason was born in Syracuse, New York on July 4, 1856. His parents moved to Detroit in 1870. 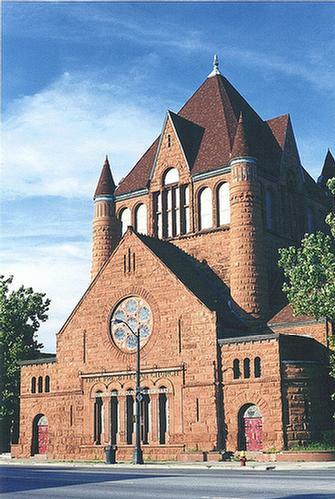 Desiring to become an architect Mason began working for the architect Hugh Smith in 1875. 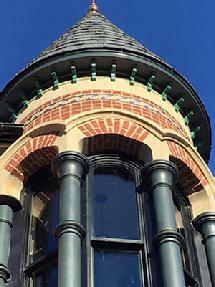 The next year he began working for the architect Henry T. Brush. These were difficult years in the American economy and Mason's biographers note he worked for Brush for nine months with no pay. It is also possible to see this as a student internship. 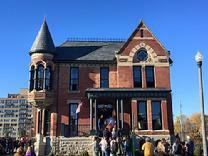 Between 1876 and 1878 Brush and Mason designed and built the Ransom Gillis House on Alfred Street in Brush Park, Detroit. 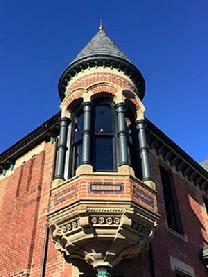 The style is called Venetian Gothic and the house underwent widely publicized restoration via HGTV in 2015. Mason would not visit Europe till 1884 so continental influence was gleaned from Brush and publications like John Ruskin's The Stones of Venice. 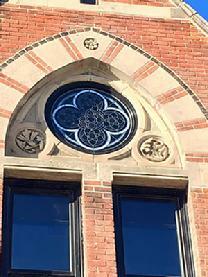 The Gillis House marks the first time Mason would get equal credit for his work. The house is on the National Register of Historic Places. 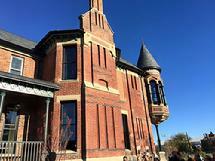 Mason and Rice temporary office at Griswold and Jefferson, Detroit dated 1887. The Zachariah Rice home at 3211 Alexandrine Ave. E. dated 1898. A picture of Zachariah Rice has not been found. His partnership with Mason began in 1878 and lasted till 1898. 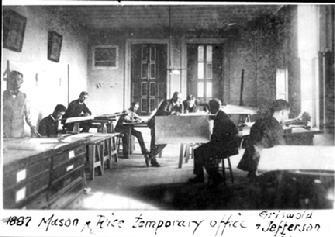 The picture above on the left shows the interior of the drafting room of a temporary office Mason and Rice set up at Griswold and Jefferson. The photo is dated 1887 and illustrates the growth of the firm. Chances are one of the men in the shot is Rice. 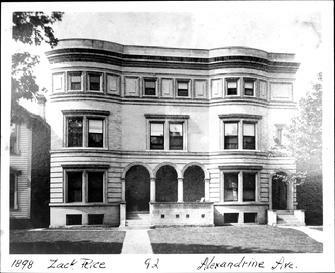 Curiously the photo files of Mason and Rice did include a picture of the Rice home on Alexandrine in Detroit. Both pictures are in the Mason Collection, Burton Historical Collection, Detroit Public Library. 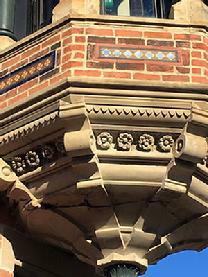 Things that we have learned about the architectural team of Mason and Rice are added to the site periodically. This design is influenced by Tuscan and Roman architecture of the Italian Renaissance. 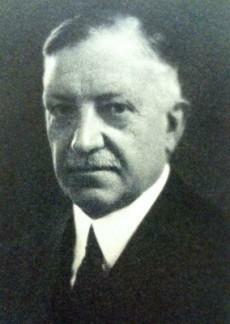 The young Albert Kahn is known to have designed some of the interiors. 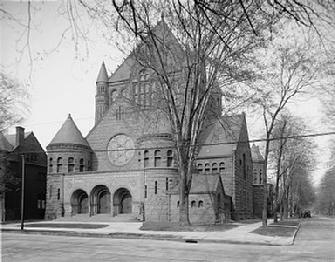 First Presbyterian as it looked in 1906. When Woodward Avenue was widened the small towers and triiple arched main entrance were moved to the south side of the building. First Presbyterian Church, 2930 Woodward, Detroit built in 1889. 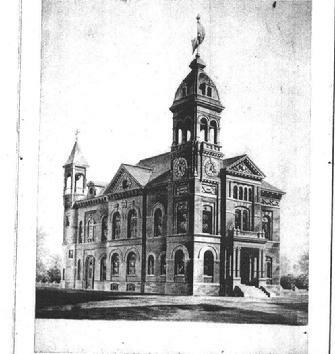 Amherstburg, Ontario City Hall, c. 1890 now demolished., illustrates Mason and Rice's continuing interest in Richardson Romanesque style.